At present, organizations face a new and prevailing challenge to effectively manage the customer experience (CX). This challenge varies from seeking how to create high-quality customer experience through all stages of the customer’s engagement, to managing the customer’s expectation and assessing it, before, during, and after the buying process. Even though organizations rise above this challenge, they face a struggle to create understanding that investment in CX provide immediate and noticeable financial results. The practices connecting CX management to results are branding and customer service. This is the case no matter whether the incentive is to respond to customer’s expectations or a desire to stand out. Managers often feel that a great customer experience supports a brand by delivering its core benefits and values consistently across various customer touchpoints and channels. The CX development process often starts with touchpoint mapping that identifies the critical moments where CX was enhanced or reduced. Subsequently, service process redesign is carried away to integrate the channels. Customer’s loyalty is perceived as a direct outcome of (high) customer satisfaction. Dr Phil Klauss developed a measure for EXQ (customer experience quality) to identify not only what constitutes the customer experience, but also to explain important customer behavior, such as repurchasing and word-of-mouth recommendation. EXQ measures the customers’ assessment of their experience quality on three dimensions: brand experience, service experience, and post-purchase/consumption experience. Brand experience includes the customers’ brand perception that influence their experience. It reflects customers’ value perception of products, pricing, the “experience-delivering” personnel, the brand and of competitors’ offerings in the search process of evaluating the firm’s offering. This is the part of the CX prior to purchase/acquisition. Service (firm) experience embodies three themes associated with the experiences customers have when they interact with a firm’s service processes, personnel, and physical presence. The first theme relates to the process experience, including items such as process ease and the challenge of using multiple channels in dealing with the provider. The second theme relates to direct evaluations of encounters with personnel. The third theme describes the influence of the physical environment. Post-purchase/consumption experience describes the customers’ experiences encountered post-purchase of the offering in question. This dimension focuses on all post-purchase consumption not only product-in-use. It covers perceptions of familiarity, retention and service recovery. According to Dr Klaus’s research, EXQ demonstrates positive relationships between CX and both customer behavior and customer satisfaction. Brand experience has great effect on customer satisfaction and word-of-mouth behavior. Brand experience also displays a great effect on the repurchase. Post-purchase/consumption experience displays by far the greatest effect of all dimensions on repurchase and a great effect on customer satisfaction. Consequently, measures of customer experience such as EXQ should at least be considered alongside the more traditional means of assessing the strategy, customer satisfaction and NPS (Net Promoter Score), since CX measures are better and more direct predictors of customer behavior. 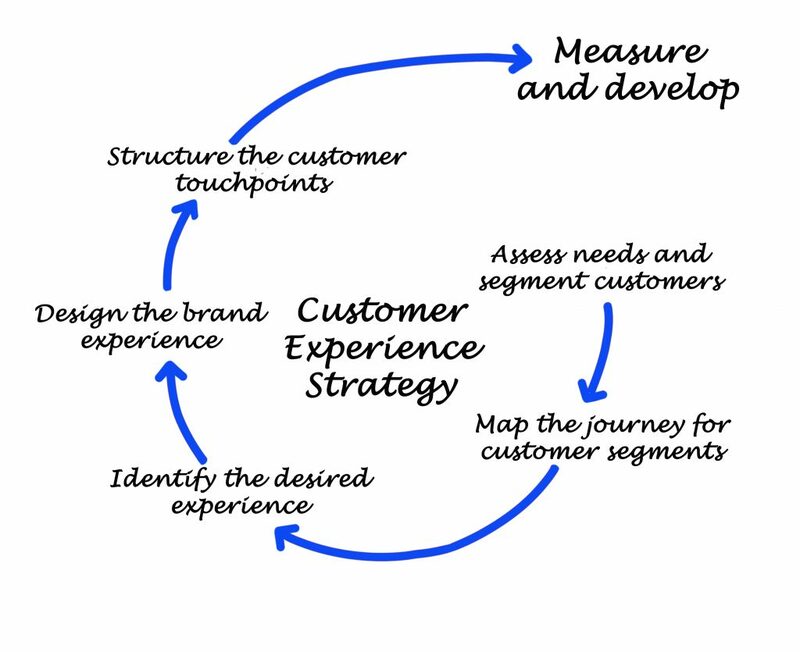 Tagged customer experience, customer experience strategy, measuring customer experience, service design.